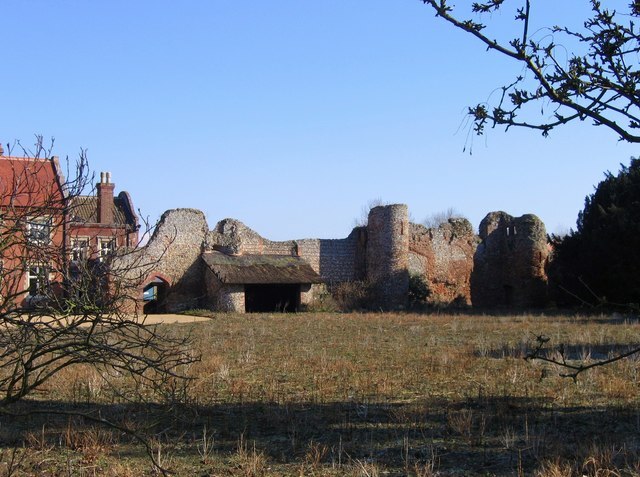 Notes: Claxton Castle was in the village of Claxton in Norfolk some 13 km south east of Norwich. This brick built castle was licensed in 1333. It was largely demolished in the 17th century to build Claxton Hall. Part of its outer wall and one tower remain. It is a grade 2 listed building and schedule monument.